Apartment Juana Rosa is situated in Puerto del Carmen, Lanzarote. Our holiday rental property sleeps up to 5 people. Apartment Juana Rosa has has 2 bedrooms. If additional beds are required there is 1 double sofa bed. The villa can sleep up to 5 people. 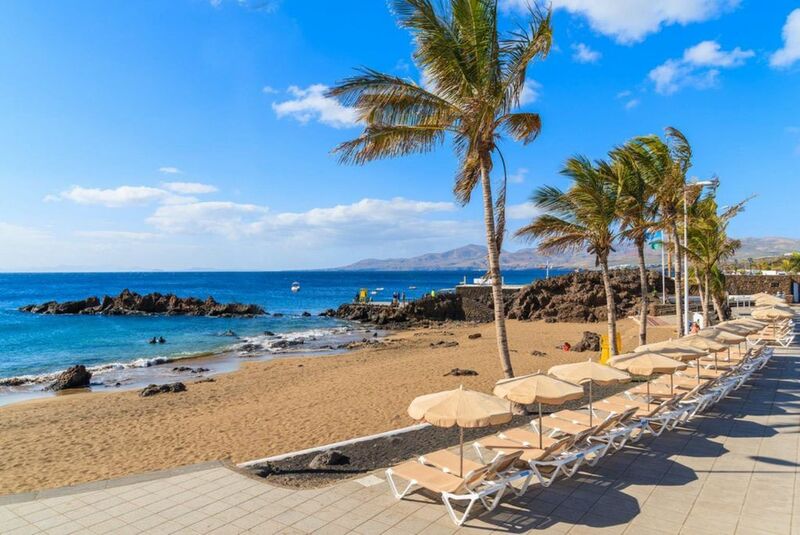 The property is located in Puerto del Carmen, originally a small fishing village, has grown into a delightful holiday resort, saved from the high-rise buildings that blight so many other destinations due to the strict planning restrictions. The 6km golden sandy beach, along with the shallow water, is particularly suitable for young families. The old town's harbour offers enticing little tapas bars and waterside fish restaurants. Narrow winding backstreets, with pretty whitewashed walls lead to a chic shopping mall with smart boutiques. Puerto Del Carmen is a holiday destination to please every taste and style. The standard of the property is impressive. Close to everything you need within walking distance. The kitchen is modern and perfect for self catering with a full size fridge and even a dishwasher. The area is very quiet, no noise when you’re in bed. This apartment is in a perfect location in the old town. It is close to Chica beach and the walk at the harbour to Puerto Calero. The apartment which is a very comfortable 2 bed is bright and modern. Only one issue: the 2 toilets constantly run water which means the water pump works 24/7. This is both noisy and wasteful. I sure it could be quickly resolved by a plumber.